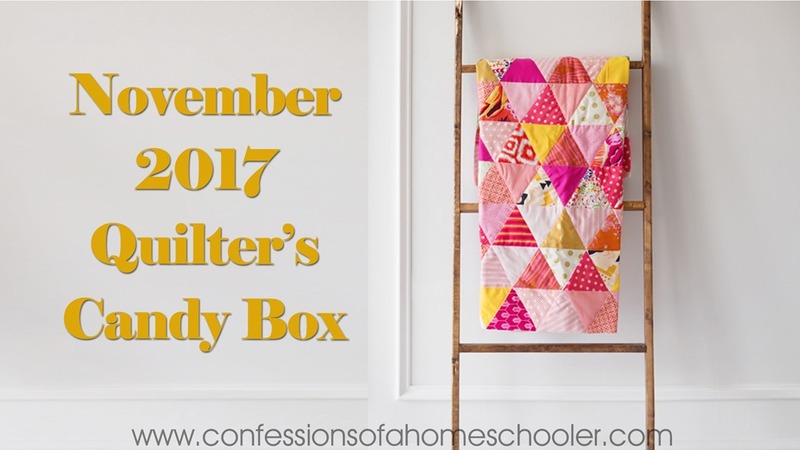 November 2017 Quilter’s Candy Box Unboxing! 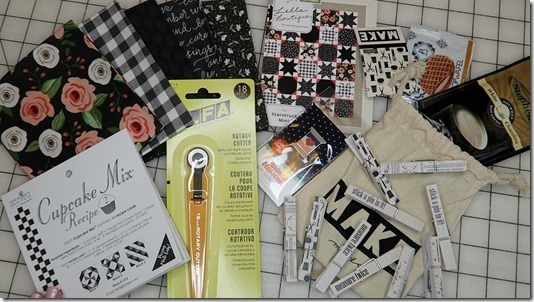 Hi friends, today I’m unboxing the November Quilter’s Candy Box, yay! If you’re new to Quilter’s Candy Box it is a monthly sewing/quilting subscription box. The boxes are $46.95/month (plus shipping) and they pack their boxes full of sewing and quilting goodies. Ready to see what is in this month’s box? 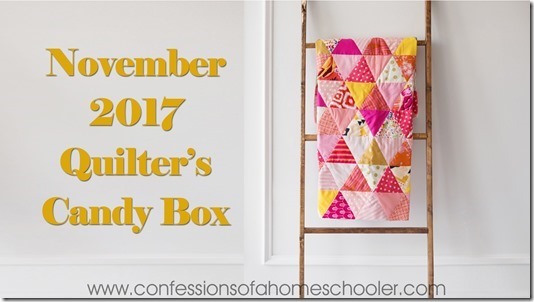 Watch my November 2017 Quilter’s Candy Box Un-boxing video below! The Quilter’s Candy Boxes are unique in that they have a different curator each month who put together a special box of sewing, notions, and a few extra items that you can’t get anywhere else. The boxes ship no later than the 15th of each month, so make sure to sign up before the 11th if you’d like to get in on the next box. If you’d like to get an idea of what they’ve put in past boxes, you can see them all here! If you’d like to more info stop by Quilter’s Candy Box! And don’t forget to follow the Quilters Candy Box Instagram, they have a lot of fun quilty inspiration over there! If you post any photos of your boxes make sure to use #quilterscandybox to be eligible to win the next month’s box free!